Ireland Unlimited are an all female barbershop chorus. The chorus rehearses on a monthly basis in Scoil Bhride , Rathdowney, Co Laois. The chorus are a vibrant and versatile group of fun loving women who love performing together and sharing in the sound that is barbershop harmony. 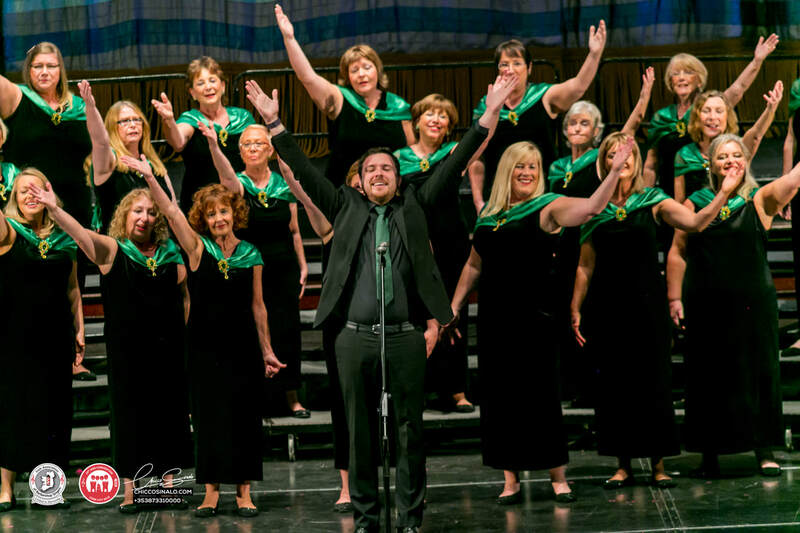 Their repertoire is inspired by popular songs from shows, music of the 60s/70s, traditional Irish songs arranged in 4 part harmony including the occasional contemporary number - all of which makes Ireland Unlimited an instant hit at any event. As members, the ladies enjoy the thrill of performing for audiences and continuously work towards increasing their standard of singing and performance.